Nobody in modern history ever made an NHL entrance like Auston Matthews of the Toronto Maple Leafs’ did in October, 2016 when he scored four goals in his first league contest. He set the bar as high as possible in his debut and hasn’t looked back since. 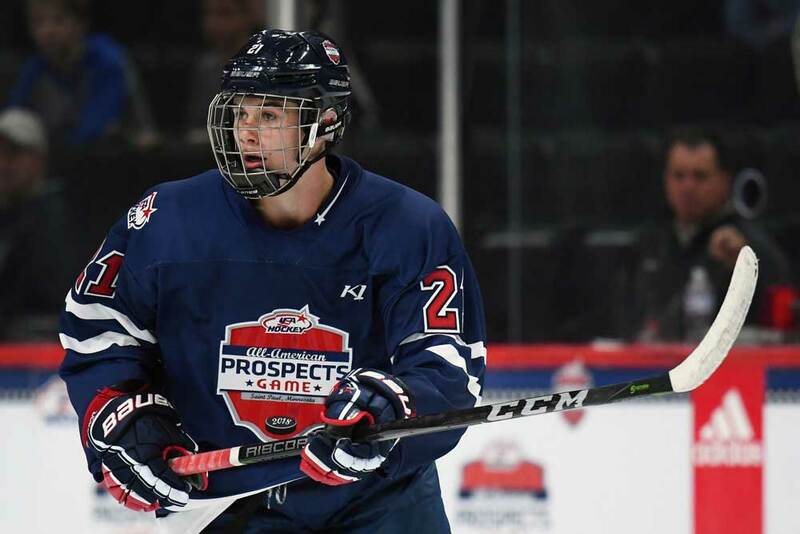 The 6-foot-3-inch, 216 lb center was the first overall draft pick in the summer of 2016 after playing for the American Under 18 squad in the United States Hockey League then in the Swiss National League with the ZSC Lions. Matthews may have been born in the community of San Ramon, California, but he grew up in Scottsdale, Arizona and played youth hockey there. Matthews’ potential was evident as a teenager when he led the U.S. Under-18 Team and his league with 55 goals and 61 assists for 116 points. This output broke the former national team mark of 102 points which Patrick Kane had set. 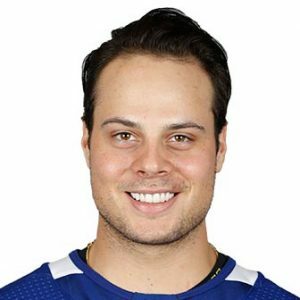 In 2015/16 Matthews decided to test himself by playing pro hockey in Switzerland rather than continue to develop in amateur hockey. He scored on his debut for the ZSC Lions and helped his team capture the Swiss Cup tournament. Matthews finished 10th in league scoring with 24 goals and 22 assists in 36 regular-season games and was ranked second in the league in points-per-game at 1.28. He topped the campaign off by winning the Rising Star and Rookie of the Year awards, finishing second in voting as the league’s MVP and making the All-Star Team. However, his team was surprisingly knocked out of the playoffs in four games by SC Bern. 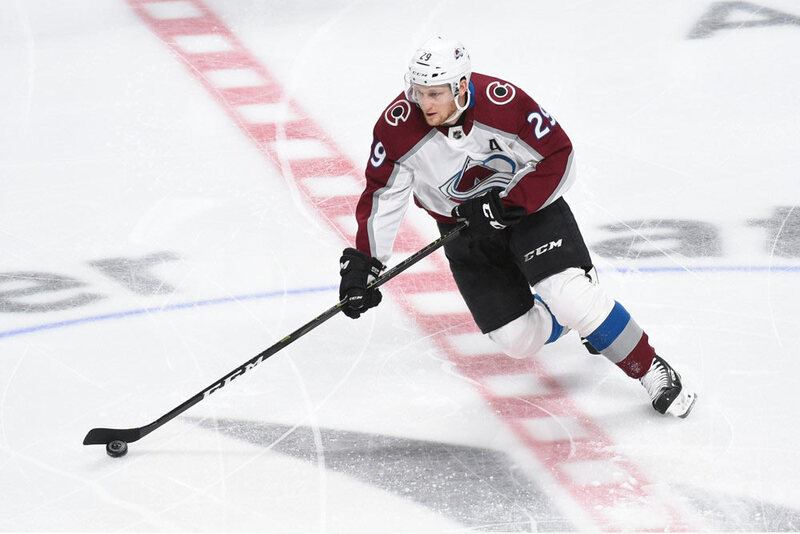 After signing a three-year entry-level contract with several high-paying performance bonuses, Matthews was ready to take on the NHL. His four goals in his debut against the Ottawa Senators were the first time the feat had been achieved since 1917 in the NHL’s first ever regular-season contest. Matthews ended the season with 40 goals and 29 assists in 82 games to set new franchise rookie records in goals and points for the Maple Leafs. He also set a new mark for rookie goals scored by a U.S.-born rookie and became the fourth teenager to notch 40 goals in an NHL campaign. The Maple Leafs made the playoffs for the first time in over a decade, but were eliminated by the Washington Capitals in six games while Matthews chipped in with four goals and an assist. His regular-season performance was recognized and rewarded with the Calder Memorial Trophy as the league’s best newcomer, becoming the first Leafs player to capture it in half a century. He was also named to the All-Rookie Team. Matthews cemented his position as a rising NHL star in his second season by posting 34 goals and 29 helpers for 63 points in 62 games. The Leafs were eliminated in the playoffs in seven games by the Boston Bruins though and he scored just one goal and one assist in the series. Matthews was on fire to begin the 2018/19 campaign with a dozen points in his first five outings. He broke Wayne Gretzky’s 1983 record while doing by becoming the youngest NHL player to register five multi-point contests from the start of a season. He then became just the fifth modern-era player to notch 10 goals in the first six outings of a campaign. On the international front, Matthews has won gold medals at the World Championships, the World Under-17 Hockey Challenge and the World Under-18 Championships (twice). He also won a bronze at the World Under-20 Championships. He was named the MVP, and top forward at the 2015 Under-18 event while leading the tournament in scoring. While Matthews has good size, he has been a bit injury prone and was sidelined for 34 of his first 190 regular-season games. When he’s healthy though he’s a point-per-game or better player who owns a tremendous shot and hand-eye coordination. His key to NHL stardom and success will be staying healthy.